Quadcopter Drones are becoming more and more of a popular item among all types of consumers. Not only do these types of technology appeal to RC fans and helicopter fans, but they are also a valuable resource for those looking to shoot awesome photo and video content. Because drones are relatively new on a consumer level, many people don’t know where to begin when they are looking to invest in one. For that reason, here is a list compiling some of the best drones available sorted by 1) Affordability 2) Overall Performance 3) Kid-Friendly Drones 4) Best Drones with Cameras. Note that some drones require registration through the Federal Aviation Administration as a result to keep the airspace safe. Before flying, check to see if yours requires registration. The Holy Stone HS170 Predator is an affordable piece of technology that is guaranteed to bring a great flying experience. With its “Headless Flight System,” users have a controlled that is oriented on the quadcopter’s flight rather than the drone “head.” This allows for quicker mastery of controlling the drone, and less frustration through that learning experience. Use the 3 speed settings installed on the Predator’s controller to start off slow until you master it. With low-interference 2.4 GHz technology, the Predator doesn’t pose the problem of catching other signals and messing up your flight time. The wind-resistent Predator has a stabilization system powered by 6 axises, making it a sturdy force in air. Using certain controller functions, users can send their drone through exciting stunts such as flips and rolls with just the push of a button. With a control range of between 30 to 50 minutes, users can enjoy extended control range to navigate their drone through. Flying at night is no issue, the Predator is laden with colorful LED lights that make identification easy and the flight more fun. The Predator is charged via USB cable, and the controller runs on AA batteries. As one of the most popular drones on the market, the Predators hold an amazing reputation. Amassing just under 2,000 Amazon reviews. The Predator stands with a noteworthy 4.5 average star rating and is a bestseller on Amazon. If your main focus in your drone shopping is to get the lowest priced drone without sacrificing high quality performance, than the E010 Mini UFO just might be the one for you. With compact dimensions of 3.7 x 3.7 x 2 inches, the Mini UFO is a portable piece of technology that you can bring along with you on any trip. The Mini UFO has is designed with a positioning system, which allows for for the drone to automatically locate the remote control. With the return button, the drone automatically flies back to the remote’s location, making drone landing easier than ever. With the 360 roll-over feature, the Mini UFO is not confined to simple directional flying, but rather can exhibit rolling special effects that never get old. With a 6-axis gyro stabilization system, the Mini UFO holds its own when it is in flight. With a flying distance of 30 meters, you have plenty of room to navigate through your favorite locations. Charging times ranged from 30 to 50 minutes, giving you quick turnarounds for flights. The Mini UFO has over 100 reviews on Amazon, and carries a commendable reputation among reviewers with an average star rating of 4.2. The Akaso X5C is one of the most affordable drones out there for those that want all the features. With a 6-axis gyro quad rotor, the Akaso X5C does not compromise stability because of its affordable price point. The X5C has the ability to perform 360 flips at the touch of one button for those that have to have a drone that can do stunts. The drone’s propellor blades are within impact resistant plastic blade frames, giving you a guarantee your X5C is tough through falls or bumps. Featuring a built-in HD camera, users have the ability to take photos or record videos. With its 2.4GHz transmitter, you don’t have to worry about the nuisance that is interference. Multiple quadcopters can be operated in the same are through this technology. Complete with installed LED lights, night flying with the X5C is a dazzling experience. The Akaso X5C features adjustable speeds, allowing beginners to learn the ropes before going faster. With over 800 Amazon reviews, the X5C holds an impressive 3.9 average star rating. The GoolRC T5W is an affordable drone that has all the features that standard drones have and then some. One of the features that the T5W that makes it even more of a great value is its first person view feature. Through this, you can see what your drone’s camera is seeing as it is happening. The T5W has the ability to take on 360 degree flips and rolls with the push of a button. With a 2.4GHz system, the T5W gives users the ability to enjoy reliable connection even if there are other drones flying within the same area. Headless Flight function allows for users to fly their drone with ease, preventing unnecessary crashes and bumps. 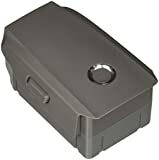 With a one key return mode, the user can retrieve their drone by simply pressing a button. Sporting the latest 6 axis gyro stabilization system, the T5W has greater stability in the air, making flight easier and photo/video taking a better experience. With LED light equipped, the T5W is a sight to behold when it lights up the night sky. The T5W has an excellent reputation on Amazon, standing with a 4.3 average star rating. At an affordable price, the Akaso X8C is one of the best value drone options on the market. With its dimensions standing in at 20 x 20 x 7 inches, the X8C is a larger drone than the standard. Designed with a 6 axis gyro stabilization system, the X8C stands its course in the air. With a built in HD camera, users can capture high quality photo and video from any angle imaginable. Complete with an included micro SD card, your captured content is easily transferrable. The Akaso X8C is comprehensive in terms of targeted users. It serves as this through its 3 speed settings. For beginners, the X8C can be set to its lowest speed setting to ensure safe flying until the user is ready to go faster. With a headless flight function, flying becomes an even easier experience in which you can focus on flying strictly as the remote would indicate without worrying about the direction that the drone is facing. Plastic frames guard the propellers, ensuring that the product life extends as much as possible. With flashing lights installed on the X8C, night flying become possible and enjoyable. A control distance of about 150 meters gives the user ample range to make their flying experience a great one. A charge time of right at an hour makes it possible to enjoy flight after flight. With almost 300 Amazon reviews, the Akaso X8C holds an impressive 4 star average rating. The TX Juice Ai Stunt Drone is a drone focused on being the easiest to fly stunt drone. The TX Juice Ai Stunt Drone attempts to do this through its token Auto Stunt Button, also known as the Juice Button. The Juice Button enables automatic takeoff and hovering and then it can be pressed again for automatic stunts and return to hovering. With its One Thumb Control System, drone flight is simplified and made safer in the indoors. The Juice Button allows for users to completely control the directional control of the drone while the Juice Button takes care of the hovering aspect. Once you feel comfortable with your TX Juice Ai Stunt Drone, you can go back to manual controlling of both directional and vertical aspects which will open up the possibility of tougher tricks and stunts. The Stunt Drone’s 2,4 GH radio control provides flight range of up to 250 feet. The compact size and auto hovering feature make the TX Juice Ai Stunt Drone an excellent choice as a learning drone for kids of all ages. Like many National Geographic products, their Quadcopter Drone provides a way for kids to learn while having fun. The National Geographic Quadcopter Drone is an easy to use, making it a good option for kids of all ages or someone who just wants to test it out. With the 1-Button control system, the Quadcopter Drone can take-off, land, return to remote, and perform 360 flips with just a single push of a button. The Quadcopter Drone’s automatic orientation makes flying a simplified operation. No matter what direction the drone is facing, the Quadcopter Drone reacts to the controller as if it was facing the operator. Adjustable speeds make learning to fly a breeze. With automatic stabilizers, the Quadcopter Drone will have an extended function life as it avoids hard crashes through greater stability. With a rechargeable LiPo battery, National Geographic’s Quadcopter Drone flies for up to 10 minutes, giving you more time in the air opposed to hooked to the wall. Remote control range of 400 feet and an altitude hold function give you range unlike any other drone. The Quadcopter Drone comes complete with 4 spare propellor blades just in case an accident happens, so you don’t have to fun losing the fun of the droid. With National Geographic’s included learning guide, users can gain valuable insight to the history of drones and just how far technology has come in developing modern drones. With 100 Amazon reviews amassed, the National Geographic drone holds an average of 3.9 stars. 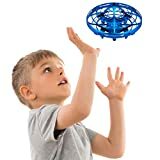 The UFO Spaceship Drone is a very suitable option for those looking for drones for kids, as its fun design and easy controlling makes it just that. The UFO Spaceship Drone is laden with bright and enticing red and green LED lights that make night flying a sensational experience. Featuring 6-axis gyro stability, the UFO Spaceship Drone doesn’t compromise its sturdiness at the expense of being a kids drone. The one button stunt feature allows users to take the UFO Spaceship Drone to new levels of stunts and 360 flips with ease. With lightweight design and a powerful motor, the UFO Spaceship accesses high speeds for an exhilarating ride. With full charge flying time of around 8 minutes and an extra battery included, UFO Spaceship users can spend more time flying than other drones on average. Charged by a USB connection, the UFO Spaceship can be charged on the go or at home. A 2.4 GHz controlling system allows for multiple drones to be flown within a near vicinity and also provides a very reliable and responsive connection. 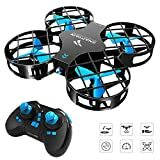 The UFO Spaceship Drone is an affordable drone option, and holds a great reputation among its buyers with its 4.3 average star rating on Amazon. At a very reasonable price, the UFO 3000 provides a great experience that is guaranteed to entertain kids for countless hours. With its dazzling blue and green LED lights, the UFO 3000 is equipped for night flying or even more entertaining daytime flying. With one button stunt features, the UFO 3000 can take on extreme 360 degree flips with just one push. With a lightweight design, the UFO 3000 scoots across the sky at a high speed. With two distinct speed settings, beginners can start off taking it slow and then crank it up for maximum speed and fun. With two batteries included, users have extended flight times before having to land for a recharge. The UFO 3000 has just under 100 reviews on Amazon, but those reviews come together quite nicely as an average of 3.8 stars. The Bangcool Mini RC Drone serves as a low price drone option predominantly for kids. 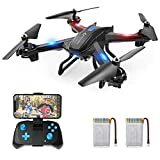 With product dimensions of 3.7 x 3.7 x 1.6, the Mini RC Drone is as portable as it gets when it comes to drones and makes a great piece of technology for kids 8 and above. Although the Mini Rc drone is relatively cheap and small, it still possesses the power of some of the coolest drone features. The Mini RC Drone is capable of 3D flips for kids that are looking for a stunt drone. With LED lights embedded on the Mini RC Drone, its dazzling colors make the flying experience all the more enjoyable. With the one key return, you don’t have to worry about a young child destroying a drone trying to land. With Headless Mode enabled, any level of flyer can navigate the Mini RC drone. With a protective frame, users can be assured in knowing that the Mini RC drone is tough enough to endure hard falls and bumps. With a 2.4 Ghz communication system, interference is not a problem and multiple drones can be used within the same area. A 6 axis gyro stabilization system ensures that the Mini RC drone stays its course while in flight. With short charge time, users can quickly take flight after flight. The Mini RC Drone has a respectable 4.2 average star rating on Amazon. Holy Stone’s F181 boasts one of the highest average star ratings on Amazon, clocking in with a 4.4 average amassed from over one thousand reviews. At just over an average price for a drone, the F181 makes up for that higher rate with its incredible value through some of the best specs. It’s 2 Megapixel camera is designed to take high quality photo no matter the speed that the drone is traveling at. With the Phase-Detection Auto-Focus, the F181 provides quality content regardless of light conditions. The F181’s 2.4GHz remote control system features flight of up to 100 feet, giving the user incredible range of control. With a cooling system installed within the motor, the F181 doesn’t run the danger of overheating. Equipped with the ever popular 6-axis gyro control system, the F181 holds its place in the air against tough conditions such as wind and rain. Strapped with color popping LED lights, the F181 is not only entertaining to watch burn through the night sky, but also it keeps your drone easily identifiable. The Altitude Hold Function allows for easier control of the drone, as it will automatically hold its elevation to let you focus more on capturing content and using directional control. Featuring 360 flips in all directions, the F181 is certain to capture the attention of everyone through its daring stunts. With a full charge powering your F181 in under an hour and a half, you can spend more time flying and less time waiting. The U45 Blue Jay is one of the most comprehensive drones when it comes to the features. With an HD Camera that captures photo and video in 720p, you can produce high quality media from any angle you can access with the Blue Jay. With video footage standing at 1280 x 720 at 30 FPS, users are given some of the best quality video from any drone. The U45 Blue Jay makes flying an easy learning experience through its altitude feature and headless mode design. The altitude hold feature enables the drone to hover at a set height, giving you better directional control and stability to take photo and video. With the headless mode design, users can fly the drone in any direction regardless of the way the drone is facing. Connectivity is a big aspect of what gives the Blue Jay an advantage over some other drones. With WiFi connectivity, viewers can have a first person view through their mobile device. If you have a compatible Virtual Reality device, then you can directly see what your drone sees as if you were right riding in it! The Blue Jay has One Button takeoff and landing, making these transitions as easy as ever. With the Custom Route Mode, you can directly path your drone’s course through a mobile app. The drone then flies that route on its own, giving you the enjoyment of watching without controlling. The U45 Blue Jay does not stop there, as it is equipped to perform 360 flips in each directions and 360 rolls both forwards and backwards. The Blue Jay stands strong in the air against external forces through its 6 axis gyro stability system, giving you confidence in your Blue Jay’s toughness. The U45 Blue Jay has around 150 Amazon reviews, and those reviews conglomerate for an average of 3.7 stars. The USI 818A Drone is a middle to high price drone that lives up to its cost through its features and quality. With a powerful motor and durable frame, the 818A is able to fly efficiently and endure bumps and falls. With its 4 channel, 2.4GHz transmitter, the 818A has reliable and responsive connection between drone and remote. The controller features two joysticks to enable movement in any direction needed. Equipped with LED running lights and a remote control signal light, the 818A is easily navigated through dark conditions. With 2 batteries included with the USI 818A, users can spend more time flying. Each battery has a full charge life of around 8 minutes. The 818A’s 720p HD camera is one of the 818A’s features that make it one of the best drones available. With 1280 x 720 at 30 frames per second, the 818A shoots video with incredible quality. With a removable 4GB Micro SD card, you have plenty of storage to capture a large number of shots from each flight session. Connectable with a laptop via a USB Data Cable, the 818A’s captures are easily transferrable. The 818A features headless mode flying, so you don’t have to worry about what direction your drone is facing when flying. This makes the 818A an easier flying experience to learn and will most definitely extend the product life. A 6 Axis gyro stability system makes the 818A a sturdy force during flights. The 818A’s low battery alarm lets you know when you need to land so you aren’t stranded in the air without power, and thus preventing a hard crash for the done. The 818A is one of the best selling drones on Amazon with over 1000 reviews collected. The 818A sits with an incredibly respectable average star rating of 4.1. The Fuse X27 Cobalt Drone is one of the sharpest looking quadcopters on the market with its fiery orange and charcoal grey color contrast. The drones functions match its aesthetics in that it is a high performance drone as well. Sporting a 2.4Ghz communication system, users have a reliable connection that doesn’t fall prone to interference. This also means that this is a good drone to use if you are going to be around other drone users. With heights attainable of up to 300 feet, the X27 Cobalt reaches angles that will amaze you and your friends. Designed with a 6 axis gyro stabilization system, the X27 Cobalt is a force while in flight. With 3 different speed settings and two joysticks for control, the X27 Cobalt gives the user maximum control. The X27 Cobalt has a one button stunt feature, making flips and rolls as easy as pushing a button. With the X27 Cobalt’s HD Camera, users can capture any photo they want from any angle they want. An included SD Card makes it easy for transfer and sharing or your captures. With Headless Mode enabled, users can take a break from the toiling of flight control to focus more on capturing photos. The X27 Cobalt’s LED light installations fully complement its physical design, but also serves as a means to never losing track of your drone at night. With a one key return feature, landing a drone has never been easier. The X27 Cobalt features safety guards for each propellor, ensuring that the life of the product is extensive. The X27 Cobalt has one of the coolest transmitter controllers among drone, and those that are familiar with Xbox controllers will find they are very similar in style. The X27 Cobalt is a newer product on Amazon and does not have a huge number of reviews, but considering every review gives it an average of a perfect 5 stars, the X27 Cobalt has a flawless reputation thus far. The Kolibri U818A is a military theme designed quadcopter drone that sports the tactical green coat, making it a great option for those that are big into army theme tech. Not only does the 818A look incredibly good, but it performs at a high level through some amazing features. With a 720p HD camera that shoots at 30 frames per second, those that want a drone they can utilize for photo and video are set with the 818A. With an 4GB Micro SD card included, all of your shots are instantly saved and easily transferrable.With Wi-Fi FPV features, the user can directly stream their U818’s view straight to their smartphone or tablet. If you have a compatible Virtual Reality headset, you can see the view from your drone as if you were riding on it! With Stop Technology, other motors of the propellers automatically stop spinning if even one does. This prevents any continued damage to the drone after a hard crash or fall. For those looking for a drone that they can utilize through compatibility with their phone, the U818A has an app in which the phone actually controls the drone. The 818A has a low battery alarm that gives you time to bring your drone in for a soft landing before it is too late, which is crucial in extending the life of your drone. Headless mode flying is another feature of the 818A that makes it a great option for beginners, as it lets you control the drone as you would normally would any other device without taking the direction in which the drone is facing into account. Kolibri’s U818A has a good reputation among customers, with an average Amazon star rating of 3.9 stars out of 5. The HS200W FPV is a higher end drone that doesn’t fall short of its value when it comes to the experience it brings. For those that have an iOS or Android smartphone and want to utilize that in their drone experience, the FPV is a great way to do that. The FPV has the ability to be paired with your smartphone, and through the FPV’s HD Camera, you can stream the live feed of video or photo from the drone. With the 720P HD camera, you get high quality picture and video from any angle imaginable. With the compatible app that you pair the phone with the drone, there are multiple functions that you can run such as the gravity sensor mode. This is a feature in which you hold your phone horizontally and the drone will mirror what you do with the phone. With the Altitude Hold Function, the FPV drone stays in a hovering position when you let go of the throttle. The FPV features a 4 speed adjustment system, allowing for beginners to take it slow until they can master the power of the FPV. The FPV’s LED light systems is included for your allowance of night flying or further entertainment through its dazzling color. With the One Button Take Off/Landing feature, the FPV lifts and lands at the touch of a button. The FPV’s 2.4Ghz channel allows for multiple drones to be operational within the same location without interference between them. Throw in the 6 Axis Gyro Stability system, and the FPV is one of the most comprehensive drone options on the market. This 6 axis system provides maximum stability for the FPV in handling and also cool stunts such as 360 flips. The FPV has reeled in over 100 Amazon reviews at the average of 4.2 stars, giving it a positive identity among consumers. The summit x5c quadcopter is an affordable quadcopter option for those looking for something including +m whatever angle you can access with the drone. It’s sturdy frame, powered by a six-axis gyro stabilization system, make the X5C one of the most sturdy drone options for flying. It’s wind resistant design make it an enjoyable flying experience both indoors and outdoors. With a 2.4 gigahertz remote control, the x5c provides extended remote controlling distance with technology that effectively combat interference from other signals. If you are looking for a drone for the purpose of stunt, the x5c holds the ability to perform 360 degree flips at the touch of a button. With a full charge time of under 2 hours, the x5c allows users to spend less time plugged in and more time flying. Flying the x5c at night is no problem, as the flashing green and orange lights of the x5c keep your path well lit and keep your drone easily identifiable. The x5c is equipped with a blade protector, designed to prevent wear on the blades from both flying and landing. An LCD displayer is installed on the x5c’s remote to display stats regarding your drone including position and battery life. With over 3,500 reviews on Amazon, the x5c holds an impressive 4-star rating, making it one of the most commonly purchased and well reviewed drone options on the market. For those looking for an affordable, easy to fly machine that also has a camera, the X5SW is just that. Featuring a headless drone design, the X5SW-V3 takes out the aspect of which direction your drone is facing, and lets you control it just as the controller buttons show. The X5SW-V3 is equipped with a 6 axis flight control system, giving it the sturdiness you need take on tough flights. With an HD attached, the X5SW-V3 allows for capturing of high quality photo and video. With WiFi FPV features, any iOS or Android phone can be paired for exciting views. One button stunts give the X5SW the ability to perform 360 rolls at any time. With up to 50 meters control distance, users have extended range to access the coolest views. Its USB charger gives you the convenience to charge on the go if you need. The X5SW-V3 is one of the best selling drones on the market, amassing over 350 Amazon reviews for an average of 3.9 stars. The DJI Phantom P3 Standard is a top of the line drone option for those looking to get some of the best, if not the best, drone camera captures. With a camera that captures 2.7K HD videos and 12 Megapixel photos, the camera of the Phantom 3 is almost unmatched by any other drone camera. The Phantom P3 is an easy to fly machine focused on priming you to capture the best content you can find, and it serves as that via simple-GPS assisted flight. The Phantom P3 boasts some of the longest remote range, stretching over half a mile of control. With compatibility to mobile devices through the DJI Go application, users can implement the technology they already have to further their drone experience. The Phantom P3 also has one of the strongest batteries when compared to other drones, as its battery on full charge allows for up to an astonishing 25 minutes of flight. The Phantom P3 is pricey compared to the average drone, and it is best suited for someone that’s going to be doing legitimate work in photography and/or videography. The Phantom P3 is very well received among customers, posting a 4.2 average star rating on Amazon through almost 650 reviews. The U45 Raven Drone adequately lives up to its “Raven” name through its sharp black design and sleek frame. The Raven’s HD Camera equips the user with technology primed and ready to capture some of the best drone photos and videos. With 720p definition and an upgraded video capture rate of 1280 x 720 at 30 FPS, the Raven drone is a great resource for those wanting to do photo and video work. With two included batteries, the Raven gives the user less time waiting and more time flying. The U45 Raven is equipped with a Headless Mode, allowing users to focus more on the camera aspect of the drone rather than the flight control. If you want to return back to full manual control, simply turn headless mode off. With an altitude hold function, the Raven can hover at a set height, making the Raven usable for beginners or simply more stable for those looking to capture media content. With One Button Takeoff, the Raven lifts off the ground and is ready to go at the touch of a button. With One Button Landing, Raven returns safely to a grounded position which makes landing no longer a worrying task. For those that love stunts, the Raven boasts the ability to do 360 degree flips and rolls. With speed control settings, beginners can start off slow and then proceed to use a faster setting when they feel comfortable. The Raven is a newer drone and thus has just under 100 Amazon reviews but those reviews accumulate to provide the Raven with a commendable 4.3 average star rating.